With the recent mandate by the Securities and Exchange Commission regarding the application of XBRL, knowing how to use this business reporting language is now a primary business imperative. 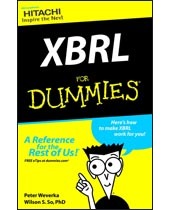 Fortunately, “XBRL for Dummies” written by Hitachi XBRL experts Peter Weverka and Wilson So, Ph. D. packs in the information that financial professionals need to understand and know relating to XBRL and its deployment in today’s SEC-mandated financial reporting environment. Companies such as PriceWaterhouseCoopers LLC, Merrill Corp., and WACOAL, are adopting XBRL; however, general understanding of XBRL is far less common. In fact, a study last year by Grant Thornton LLP revealed that nearly one-half of senior finance executives are not aware of XBRL and nine in 10 believed that the accounting profession had not adequately communicated the benefits of XBRL for internal and external financial reporting. Wilson So is the Director of Hitachi America, Ltd. XBRL Business Unit, introducing Hitachi's XBRL products and consulting services to both the commercial and government sectors and actively contributing to XBRL thought leadership. 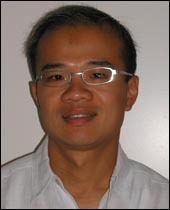 Prior to his current role, Wilson led Hitachi's technology marketing effort in North America for next-generation data center technology, ubiquitous computing, and IP internetworking. Before Hitachi, he worked for General Dynamics Canada as a R&D manager and was one of the founding team members to develop the world's first-ever-fielded land mine detection robot.